A host of global factors such as US-China trade negotiations, US Federal monetary policy meeting, developments around Brexit deal and other global trends are likely to steer the indices on Wednesday. A host of global factors such as US-China trade negotiations, US Federal monetary policy meeting, developments around Brexit deal and other global trends are likely to steer the indices on Wednesday. Apsrt from this, investors will also keep a tab on December quarter results, movement in rupee and crude oil. 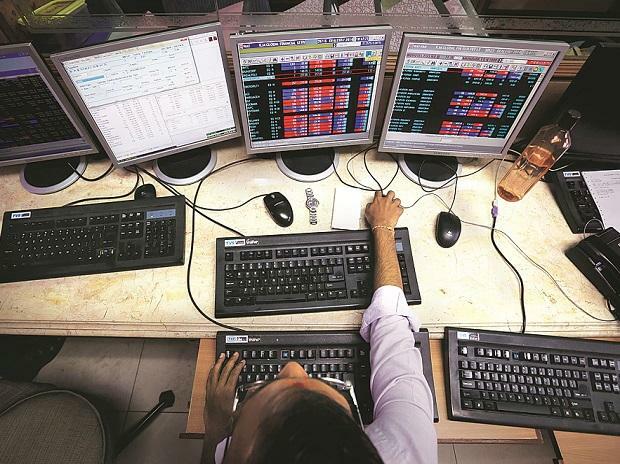 Among stocks, Dewan Housing Finance Corporation (DHFL) will be in focus today as media outlet Cobrapost on Tuesday alleged that the firm has siphoned off Rs 31,000 crore into promoter companies to create private wealth through a network of shell companies. The rupee on Tuesday ended flat at 71.11 against the US dollar, with focus shifting to the Fed policy meet and US China trade talks. Nearly 125 companies including Ashoka Buildcon, Bajaj Auto, Dhampur Sugar Mills, ICICI Bank, IOC, Jubilant FoodWorks, LIC Housing Finance, NTPC, Tata Communications are slated to announce their December quarter earnings later in the day. Nifty futures on Singapore Exchange (SGX) were trading at 10,686, down 8 points or 0.07 per cent in early trade. US stock futures and Asian equities eked out modest gains on Wednesday as investors seized on Apple Inc’s earnings and comments from its chief that US-China trade tensions were easing, sending the iPhone maker’s shares soaring in after-hours trade. MSCI’s broadest index of Asia-Pacific shares outside Japan edged up 0.05 per cent. Japan’s Nikkei rose 0.2 per cent before erasing gains. International Brent crude oil futures were up $1.39 to settle at $61.32 a barrel, a 2.32 per cent rise, while US West Texas Intermediate (WTI) crude futures increased $1.32, or 2.54 per cent, to settle at $53.31 a barrel. Promoters have raised the number of shares pledged with their lenders as collateral for borrowing by 23 per cent on a year-on-year (YoY) basis. At the end of the December 2018 quarter, promoters of BSE 500 companies had pledged 15.7 billion equity shares, against around 12.8 billion equity shares at the end of the December 2017 quarter. In rupee terms, promoter-owned shares worth nearly Rs 2 trillion were pledged at the end of the December 2018 quarter, up 2.6 per cent on a YOY basis. The pledged shares represented around 15.2 per cent of the promoters’ stake in the 111 BSE 500 companies, where promoters have pledged their shares, up from 14.3 per cent a year ago.